In today's world where there is a lot of demand for creativity and the human touch, it is not a thing of surprised that artificial intelligence is stepping in to give a little bit of human touch to the business conversation. This is the age of chatbots that take care of the mundane parts of conversations on the internet with prospects and hand over only when it can't continue anymore. What makes an ideal chatbot? A chatbot is only as good as its database and learning. The chatbot has to make the conversation as human as possible and not sound like a machine. This human-like behaviour can only come from big data and machine learning which make the core of chatbots. The algorithms that govern the chatbot are of vital importance. 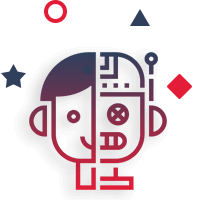 It is only when these conditions are fulfilled that the chatbot becomes Swift, sturdy and extremely reliable to multiply the benefits of a business and to reduce human intervention. All of these culminate at cost-effectiveness. chatbots fully dedicated resources That Give complete control and transparency during the initial phases of any operation, especially sales. chatbots give you the advantage of scalability. Once you have assigned a chatbot and it has started to execute its work, you can multiply it to as many avenues as you want. The user interface of the chatbot needs to be flexible so that you can accommodate a lot of automated functions which can be included in the chatbot itself! Cumulatively, the chatbots are relatively less expensive but have a higher option rate. It might not make immediate sense when we talk about caste but in the long-term, if the goodness of human conversation can be dedicated to just a small part of the conversation, it translates into better utilization of money. chatbots are constantly evolving to learn from the conversations and they can even be made flexible to serve the customers in multiple languages. chatbots can avoid human uncertainties like violation of privacy and breach of data security. chatbots enhance the results of marketing, especially on mobile platforms. They give a personal touch to the interaction which makes it a great tool for customer loyalty. chatbots can be developed for different platforms and we have the team to give its best in making sure your chatbot complies to the requirement not only for your business but also for your platform. We understand that the same customer might have different personas when in different places. Claritaz has a specialist team that gives you the best Facebook chatbot development services. As you may all have known, Facebook ok has quite a large user base when it comes to using its private messaging platform, Facebook messenger. Since businesses can you sit on their Facebook page for official Communications, a Facebook chatbot can surely help in business. With a Facebook chatbot in place, you can deliver interactive customer support, engagement, and even E-Commerce guidance and choosing the best products for your customers so that you maximize your rate of conversion. 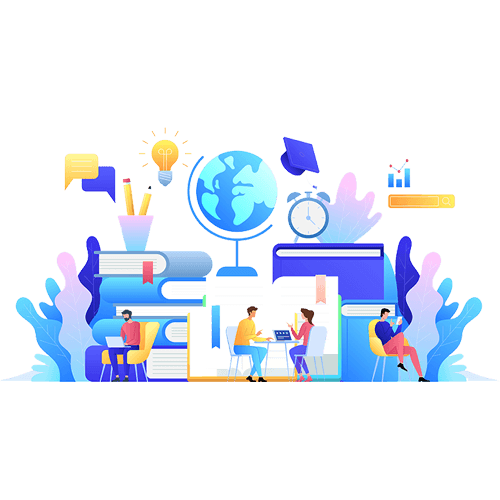 Slack is a messaging platform that is slowly taking over the market and with the enterprise level intervention, it is bound to grow into a business messaging platform which connects businesses to the customers. With our slack bot development services, you can make sure that people interacting with your slack messaging system enjoy an interactive experience. The telegram has been emerging as a competitor to WhatsApp and your experience and expertise in the development of Telegram bots make sure that your business conversations continue flawlessly in this new age chatting platform which has got over 60 million users. Customer service or service, in general, is one of the departments across all products and services that can be automated. There are a few standard questions that would help isolate the issue of the user and direct them to the exact expert team for the right solutions. Here is where the chatbot building advantage of Claritaz comes in. With expertise that is spread across multiple industries, we can create customized chatbots for your business and minimize the time that you spend in understanding customer issues and directing them to the right expert personnel. There might be different segments of people who visit your website. It could be people who are gradually browsing through your services for people interested in the information that is found on your blogs.with our chatbots, we try to capture the users and elevate them to the next level of engagement by either making them subscribe to our blog or newsletter for getting them in touch with the sales team if they are prospects. With the resurgence of interest in travel, hotel booking has become a widely used service. This has also filled the presence of a lot of aggregators. Anything said the hotel booking is based only on a few parameters. Some of them include the number of people, the place of stay, the date of travel and maybe, a list of amenities that would be used during the day. Given this kind of mundane information, this process can be automated using chatbots. In the long run, chatbots can also provide better insight into what kind of rooms are being availed that which tourism season. In all of the emerging of these computers, let is not forget the Big Daddy of computers. Microsoft act also so has its messaging platforms like Skype where customers can possibly interact for businesses. Our Microsoft bot development experience will bring you the technical expertise it takes to build a robust and interactive Microsoft chatbot. There are certain industries which require only a standard set of questions and specific answers that will help the process get more efficient and the customer's inch closer to the conversion. We specialize in creating chatbots that are industry-specific and customized to suit your prospects and customers. 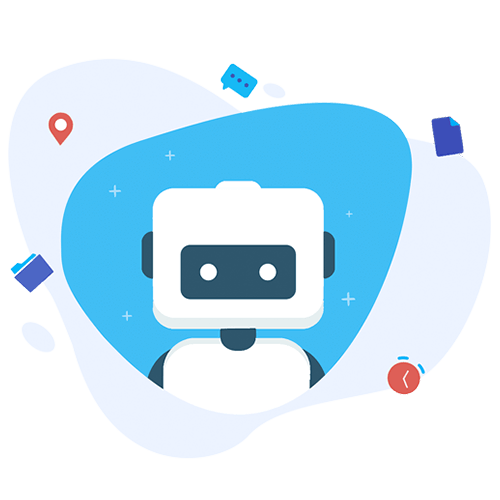 It is not our technical soundness that brings the best chatbots but more of the extra Mile that we go to understand your business and customers. 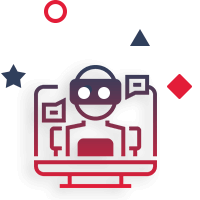 We understand that it is your customers who come at the end of the day, will experience the chatbot and we make sure that it complies to their style of interaction and requirement. The greatest success of chatbots, and not just in our case, is in how conversational the chatbot can be. We make sure that are chatbots are as human as possible in their modes of conversation and interaction. chatbots are probably the smallest and yet one of the most profound manifestations of the combination of big data, Artificial Intelligence, and machine learning. With chatbots, it makes a lot of business sense to automate things that can be considered quite mundane. The flip side is that if these mundane tasks are not met in a way that you are customers could get satisfied, it might mean a potential loss of business. Our development team takes all of these little things into consideration to make sure that are chatbot development efforts are in line with your business requirements and your customers! !